What should the U.S. do with the 11.3 million immigrants in the country illegally? Which and how many foreign family members should American residents be allowed to bring to the U.S.? Should immigration numbers, in general, be increased? Those are the policy questions that a recent study titled “Welfare Use by Immigrant and Native Households” attempt to address. The report was published this week by the Center for Immigration Studies, a D.C. think tank that argues for reduced immigration. Widely covered by the press, the immigrant welfare study provoked strong reactions from rival immigration wonks and pro-immigrant advocates. “Obviously there are issues with these methodologies,” says Dan-El Padilla, whose autobiography “Undocumented” describes his journey from living in a Dominican-headed-household that received food stamps and rent subsidies to an undergrad at Princeton. For him immigration is as personal as it is intellectually interesting. With a PhD in Classical studies Stanford, his main focus is Greek and Roman history, which he currently researches at Columbia University. But he can also rattle of titles of studies that show the economic benefits of modern-day immigrants, as well as the social benefits (they commit less crime, for example). And while he could probably dissect the CIS study for hours, Padilla doesn’t think that statistics should rule the immigration debate. 51 Percent Of All Immigrant "Households" "Use" "Welfare"
Those measurable outcomes dominated the headlines this week. According to CIS report, 51 percent of all immigrant-led households benefit from government welfare, while only 20 percent of native-led households use the same programs. In the right-with Daily Caller, that meant "51 Percent Of Immigrants Use Welfare Programs," which not even the CIS was technically claiming. 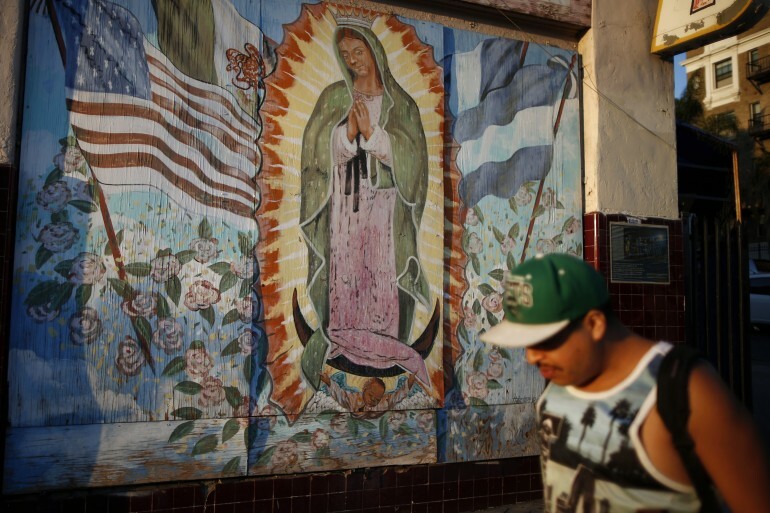 Seventy-three percent of Central American and Mexican-led households drew on some form of welfare, according to the study. Critics attacked the paper’s design, including the definitions of “households,” “use” and “welfare.” Households counted in the study lump together both native spouses and U.S.-born children. Households weren’t adjusted for size, despite the availability of such data, according to the Cato Institute, a libertarian-leaning think tank that was critical of the CIS report. “Use” of government programs in the study was measured as “yes” or “no,” not the actual cost. The definition of “welfare” in the CIS report excluded Medicare and Social Security from its analysis, but included Medicaid and school lunch programs. For Padilla, it’s not just about dollars and cents, but also history, philosophy and geopolitics -- disciplines that he says need more time in the spotlight. If the metrics used to construct the immigration debate are too rigid, the results might be rigid as well. Should immigration numbers, in general, be increased? He doesn’t have a number in mind, and doesn’t really agree with the question to start with. “In my forthcoming memoir, I’ve tried to show how America’s inflexible and punitive immigration policies result in absurd and unjust outcomes,” Padilla recently wrote in an op-ed about immigration in the U.S. and the D.R. for The Guardian. Padilla urges immigration wonks to take into account not just the economic cost-benefits analysis, but what one might call the entwined sociopolitical destinies of immigrants and their imperial powers. He cites the country of his birth, where U.S. intervention toppled democratically elected governments. Those actions, he says, created a power vacuum occupied by despot Rafael Trujillo, at almost immeasurable great economic and social cost. Why then, are there more Dominicans in the U.S. and more Pakistanis the U.K.? Complied into a report, there would be plenty of exceptions. For example, there are more Nigerians in the U.S. than their colonial power the U.K. But Padilla points to the Filipinos in Los Angeles, and Dominicans in New York City.